Skip the pizza delivery! 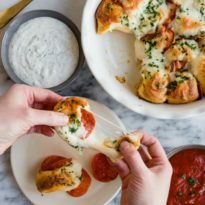 Enjoy these easy, cheesy Pepperoni Pizza Bites hot and fresh from the oven. You’ll want to double the batch! 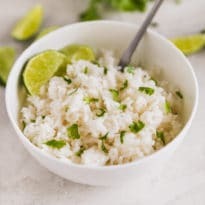 Most of the recipes on this site are here because I decided to put them here. But once in a while, I get a fantastic reader suggestion. So when I received an email with the Subject: “This looks like it would be fun to make,” followed by a link to Reddit, I got to work immediately. A standard can of refrigerated (aka “exploding”) biscuits contains 8 biscuits. 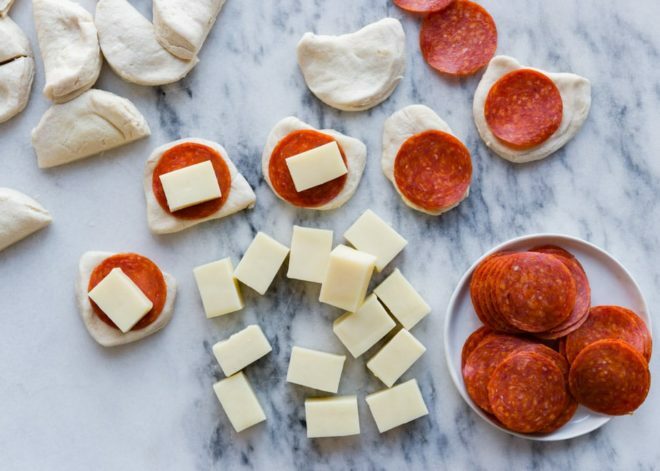 Cut each one in half, flattening it into a small disk, stuffing it with cheese & pepperoni, and shaping it into a tiny Pizza Surprise ball. 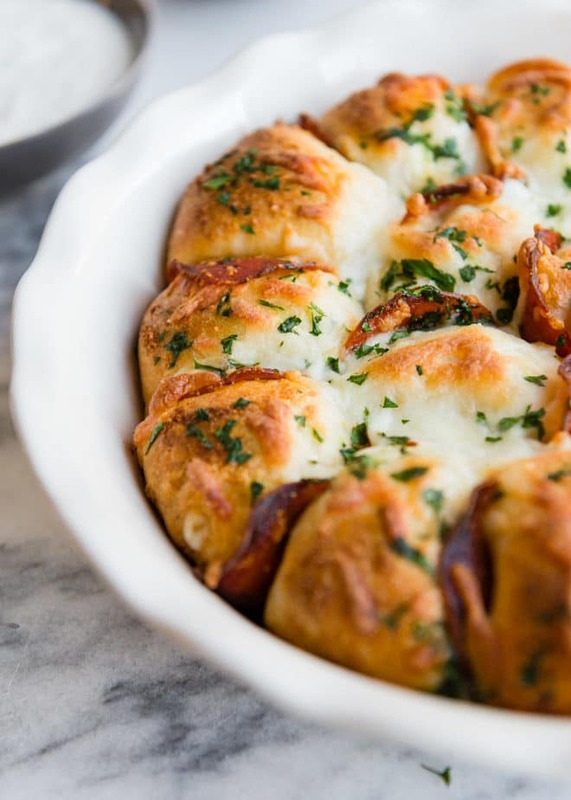 Then, arrange the Pepperoni Pizza Bites balls in a baking dish. I like to brush the tops of the biscuits with garlic butter sauce. For obvious reasons. 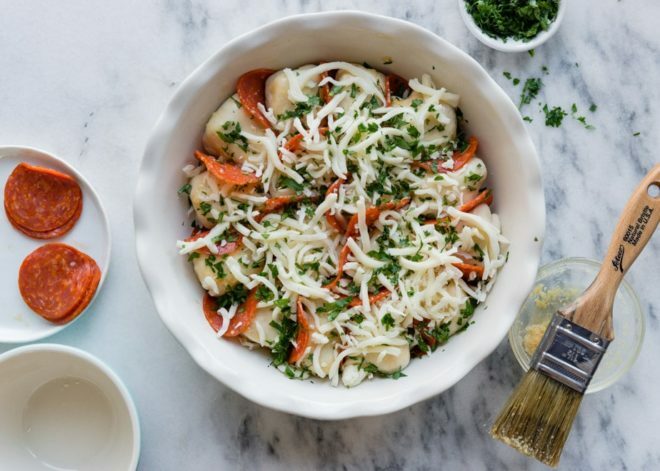 Stuff the spaces between with pepperoni, top with cheese, and add some fresh chopped parsley if you like the color green. They start with exploding biscuits. You know, the cans that pop open. It doesn’t feel like a weekend if there’s no pizza. Because it’s [insert sport name] season! I have adapted the original baking time and temperature, but “until golden brown” is a good rule of thumb here. 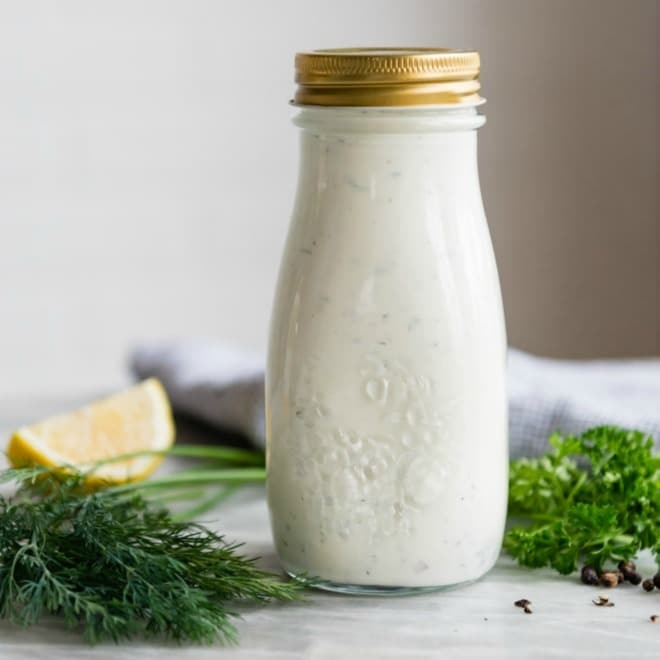 My favorite dipping sauces include Homemade Marinara Sauce and the most amazing Homemade Ranch Dressing. Dive in! That’s not a request! 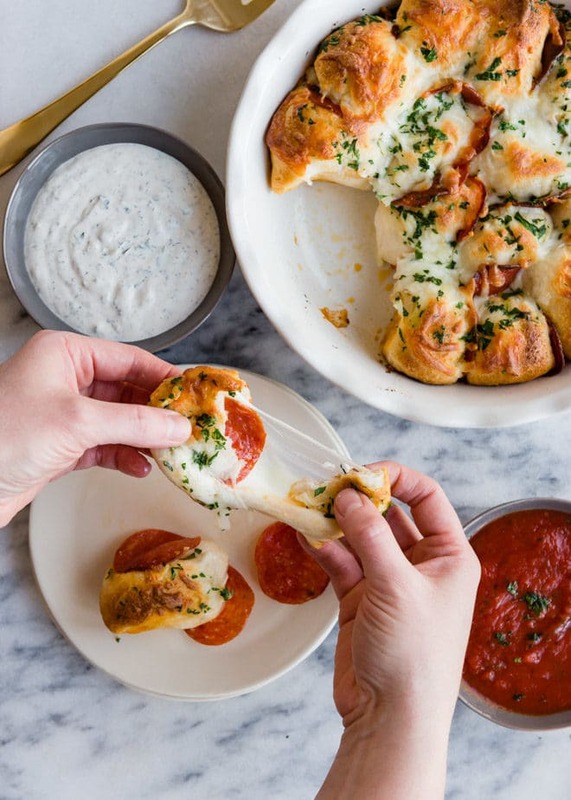 Save these Pepperoni Pizza Bites to your “Appetizers” Pinterest board! Skip the pizza delivery! 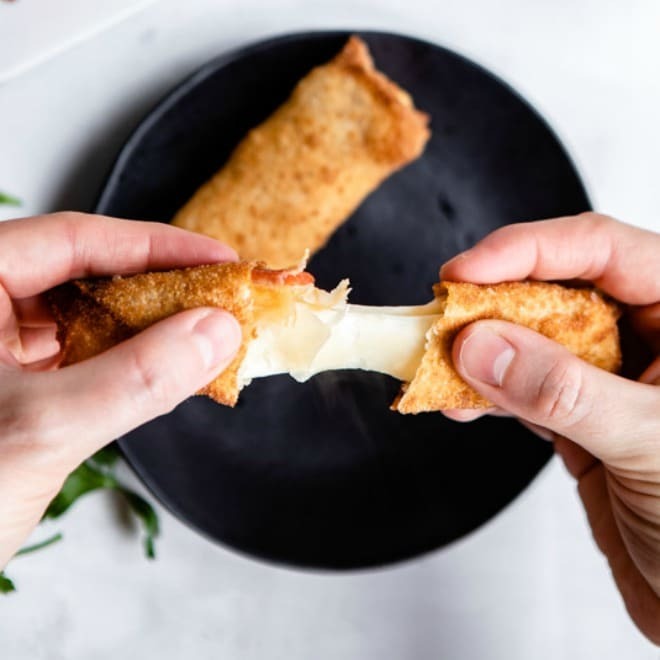 Enjoy these easy, cheesy pepperoni Pizza Bites hot and fresh from the oven. You'll want to double the batch! This is such a genius idea! 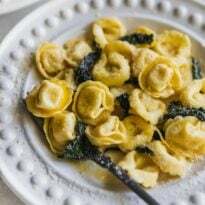 Love how uncomplicated and easy it is, yet looks stunning and delicious! Any suggestion for the can of refrigerator biscuits since you can’t find those where I live. What could I use instead? Hi Stella! Thanks for your comments. 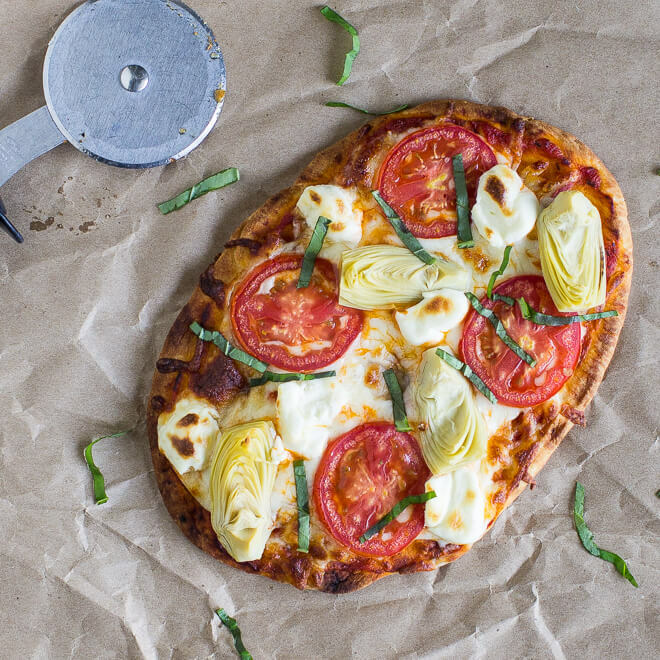 You could use any kind of store-bought or homemade pizza dough (or frozen bread dough). They are all delicious! Thanks again. 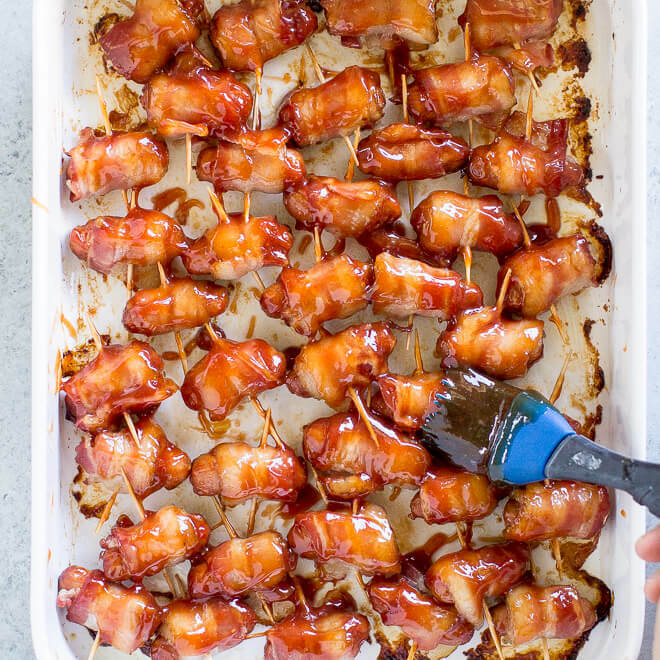 This is such a genius recipe, love how uncomplicated and quick it is, and also how stunning and delicious it looks! But you can’t find “can of refrigerator biscuits” where I live, any suggestion what I could use instead? Sorry for the duplicate comment, my browser froze. any way this works with a glass dish for the oven??? Absolutely, I don’t see why not! I haven’t tried it, but it’s just like anything else – brownies, cake mixes, whatever. You should have no issue using a glass dish. With cakes mixes, etc. the oven temperature is the same for metal and glass pans, it’s just a lower temp if you use dark or nonstick. So you should be fine! Maybe check it 5 minutes early just in case? 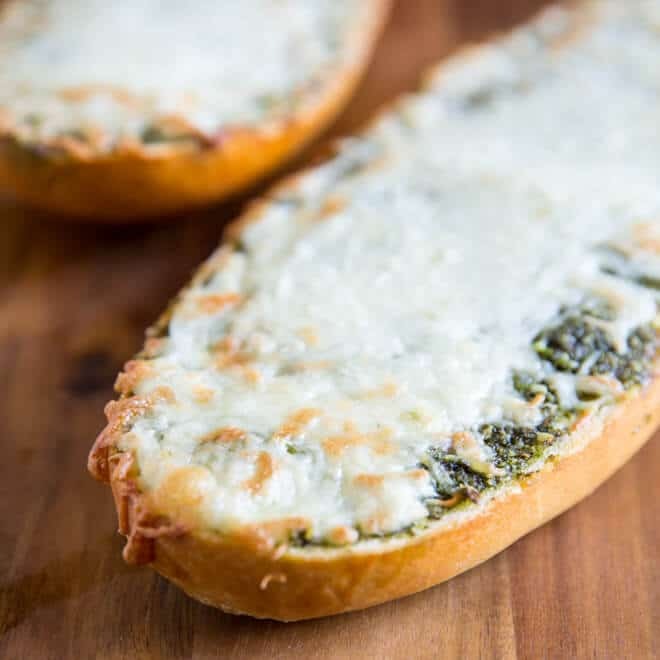 Do you think the mozzeralla cheese sticks will work as well? 100% yes to that! Definitely. 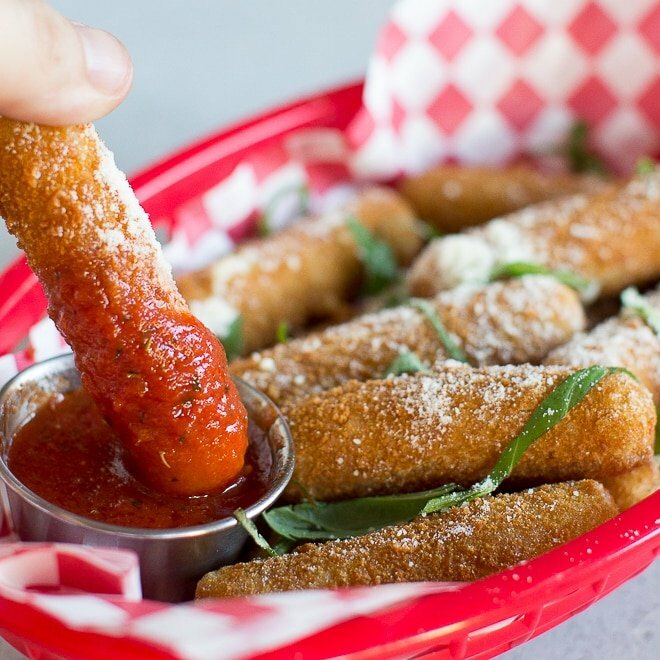 I use those in my pizza sticks too (basically mozz cheese sticks wrapped in wontons with pepperoni and deep-fried). All good things. Thank you Terry!